Specializing in precast concrete since 1987, ARMOS is a leading manufacturer of high-quality structural and non-structural precast concrete and construction services for large infrastructures and building projects. We design, manufacture, ship and install precast concrete elements to help our national and international clients increase the value of their projects, by delivering better results acrossquality, speed and economy. We deliver precast concrete solutions across 4 sectors, covering the full spectrum of the construction industry: Large infrastructures, Industrial & commercial buildings, urban development and architecture. Moreover, in infrastructure sector we specialize in precast products for motorways, tunnels and railways, marine structures and hydraulic projects. 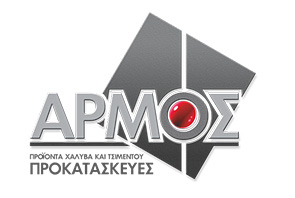 Environmental Protection Engineering (EPE) S.A., established in Piraeus in 1977, is a global environmental company that provides a wide range of products and services including Emergency Oil & Chemical Spill Response, Marine and Industrial Spill Response, Management of Hazardous and non-Hazardous Waste, Environmental Rehabilitation and Protection Services, Consulting services, Training Services, etc. By continuously investing in research, development and implementation of innovative technologies, Environmental Protection Engineering S.A. (EPE) is now considered to be the largest Environmental Service Provider Company in the Eastern Mediterranean. EPE, with state-of-the-art equipment, trained and experienced personnel, offers contingency planning and preparedness services to all types of facilities and vessels in compliance with national legislation and international guidelines and standards. Moreover, EPE also designs and manufactures marine equipment such as bilge oil water separators, sewage treatment plants, sacrificial anodes, potable water related, anti-fouling and cathodic protection systems and is classified amongst the main specialized suppliers of Sacrificial Anodes internationally, with applications to subsea infrastructures, shore and land structures, underground pipelines, wind farms, jetties, ships, yachts. 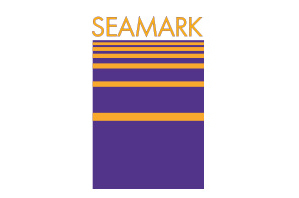 Marinetek is an internationally recognised brand name for premium marinas and advanced floating solutions. With the industry’s most comprehensive pontoon product range and a network of 300 marina experts around the world, Marinetek can supply everything, from a custom-made floating structure to a world-class marina. Through collaborative partnerships, Marinetek offers to customers expert turnkey services for design, manufacture, installation, maintenance and modernisation of marinas. By operating through its subsidiaries and partners around the world and manufacturing in 12 countries, Marinetek has been able to deliver more than 2 000 marinas in just 20 years. The company’s international success is based on its exclusive concrete technology and the Marinetek team realises above all that by accelerating the pace of new product development it can continue to give its worldwide customers the best. It is not just about size or volume. By listening to our customers’ needs and learning about their culture and values, the Marinetek team establishes relationships that last a lifetime. Ultimately, our aim is to develop winning solutions for our customers and to keep our promises. Every year Marinetek reviews and develops the product range to bring the most suitable marina solutions to the market. This ongoing development has brought Marinetek many awards and ensured its status as the biggest marina construction company in Europe and one of the leaders in the whole global industry. 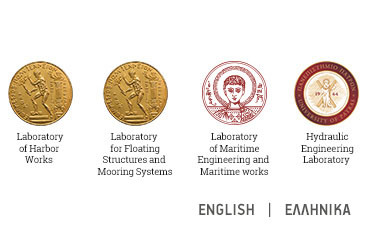 NIREAS Engineering (NIREAS) is a Consulting Company within the field of Maritime Engineering. The Company ventures into surveying, design, technical and construction management of harbor, port, coastal, offshore and pipeline/cable projects. NIREAS's key management officers are engineers well established in the market, with an excellent reputation and strong customer relations. The company is developing into a strong active competitor in the market of Maritime Engineering Services. The company has skilled dedicated staff and a database of highly qualified contract personnel and consultants. 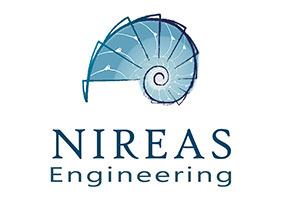 NIREAS provides sound Maritime Engineering solutions and advice to customers and is recognized for their innovative and prompt response to the Client requirements. From the very start, NIREAS has developed into an excellent consultant and trusted advisor to government and municipal departments and corporate Clients in all areas of the Maritime Engineering Industry. SALFO & Associates was established in 1994 for the provision of engineering and management services, covering all types of infrastructure, such as highways, railways and ports; and buildings. In the last two decades SALFO has worked in more than ten countries and has managed to establish itself as the largest Greek engineering firm, with 450 employees and eight international offices in Abu Dhabi, Dubai, Qatar, Saudi Arabia, Oman, Cyprus, Serbia and Romania. 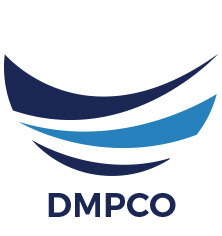 The professionalism of the company and its result orientation, along with the strong insistence on the principle of providing quality services above and beyond conventional expectations, are elements that enabled the company to become engaged in some of the largest projects worldwide, thus achieving a unique brand name and a positive reputation. SALFO is the only Greek company that has been included for the third consecutive year in ENR Magazine's Top International Design 225 Firms list, ranking 190th for 2018. The ranking is based on the companies' turnover from international projects.